Loving every detail here and superposition of every element. Menswear in a feminine way. 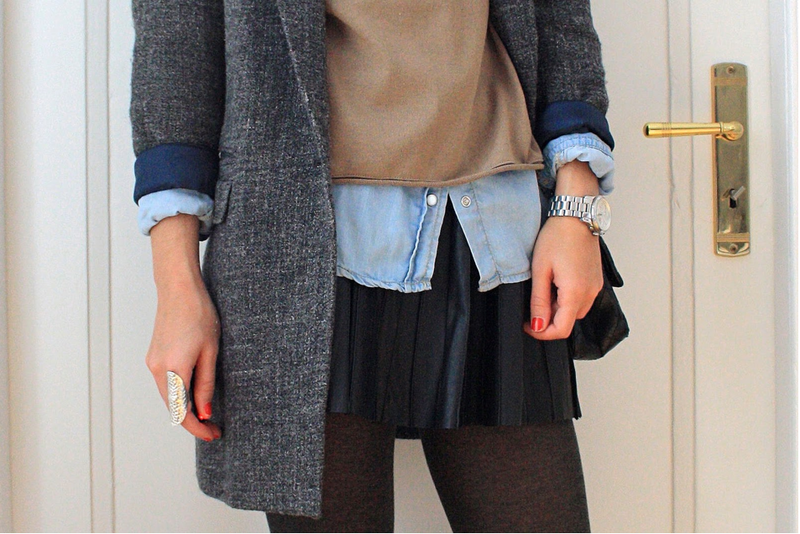 But what i really want is a pleated leather skirt like this. I think Zara has the answer, if i'm not mistaken? You're right-- Zara has some...or did this season but i think we may have missed the boat :(...i really wanted one too but unfortunately couldn't pull off the waistline. it would look stunning on you so i really hope you find one! You're rigth it's from this season! I know the one in Laval had a few left last week!! its is so lovely and lookes so great layeredd. hope zara does have the answer. Love it, and yes I think I saw it in the Zara catalogue! Get it!! !